Today’s readings remind us of two virtues that are at the core of Christian life: justice and humility. 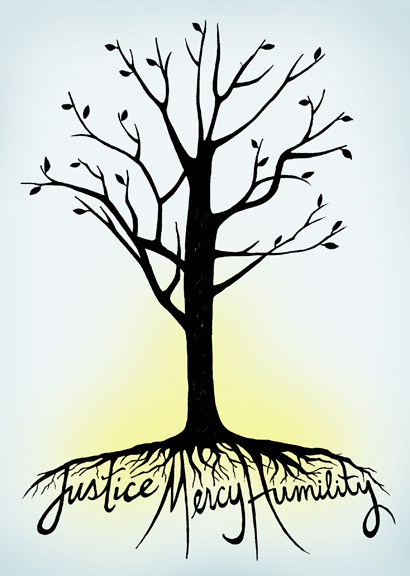 The first reading invites us to promote justice and become ourselves instruments of uprightness in the society. “Make justice your aim”; these words are powerful. They just mean: watching justice being trampled on and doing nothing means supporting injustice. Some Christians, at many times in the past and even today, have managed to find other aspects of their Christian life to hide in, in order to avoid the responsibility to uphold and speak out for justice in the world. It might happen that some even try to argue that justice is a secondary aspect of our Christian life. However, it is a core aspect of the Christian life and a commandment for all of us as Christians; not only for Mother Teresa of Kolkata or Bartolommeo de Las Casas. To this aspect is linked another one very important: humility. In today’s gospel, Jesus makes it clear that the religious leaders, who did not care about justice, had grown at the same time proud and wicked. They had become unjust and arrogant. Their arrogance made them despise the poor and all the others they were supposed to care for. One would be unfair towards the Scribes and the Pharisees if one had to assume that they were the ones to impose their status to the people. We are very much aware that, just it is in our times, religious leaders get a special treatment by those faithful to their religion. Thus, Jesus words could be understood at the same time as a criticism and a warning. The system favouring that attitude, it had become a trap for religious leaders of Jesus' time. Lent is a good time to call back Christians to justice and humility. It is even a better time to encourage religious authorities to be humble as their sole master, Jesus Christ, was humble and gave the good example by speaking out for justice. Let us pray that this Lenten season becomes an opportunity for all believers to shape their lives to Christ's, the humble, meek and just Lord.